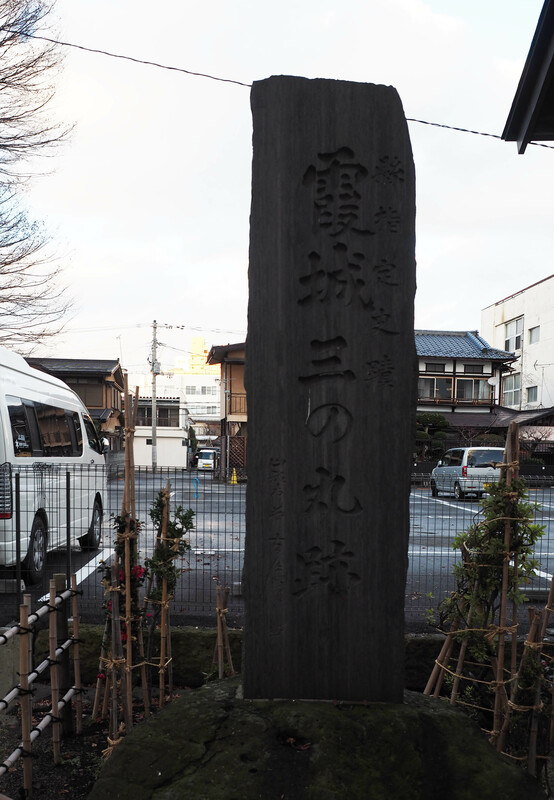 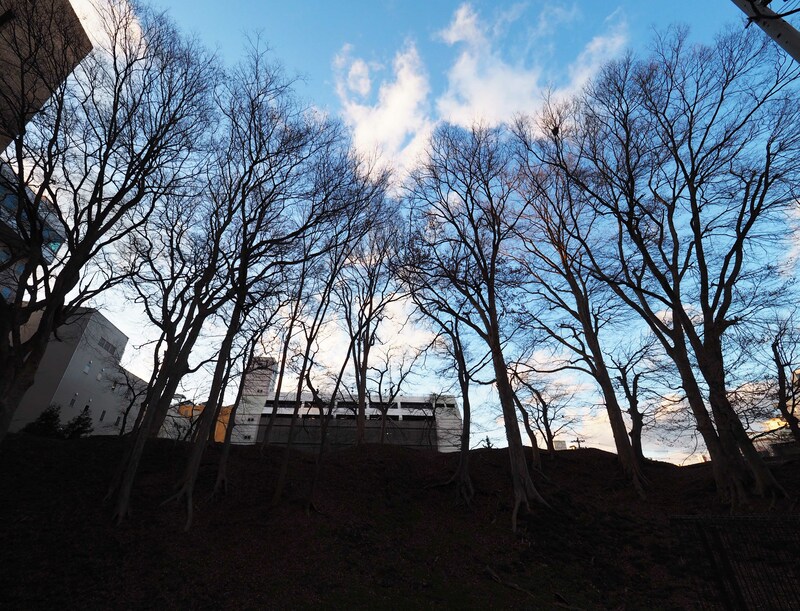 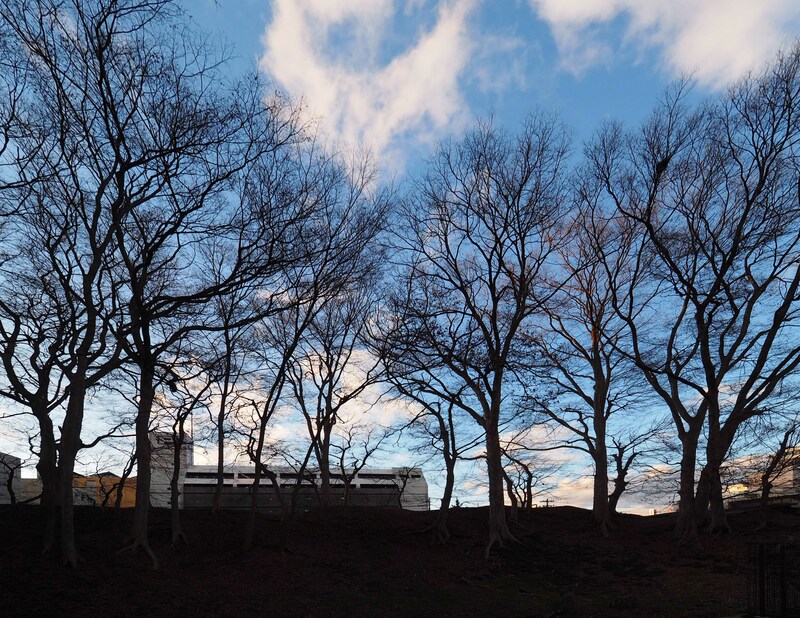 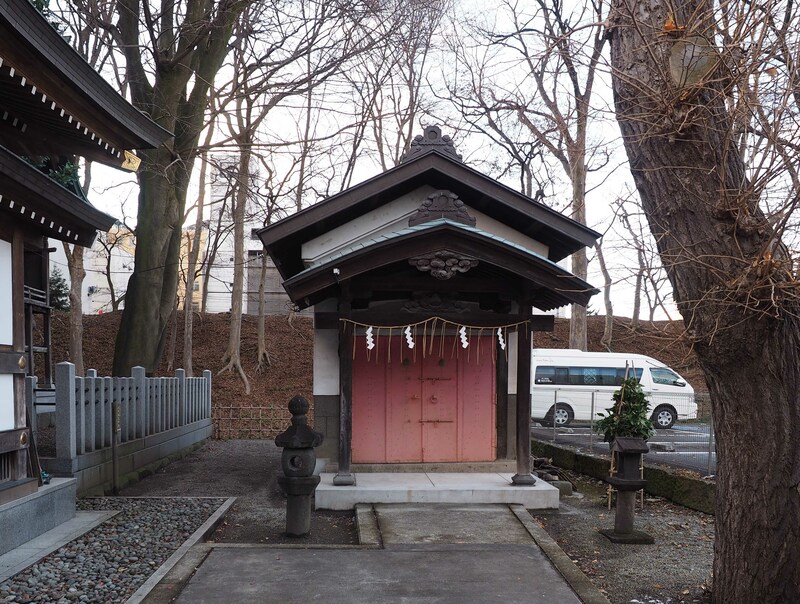 From the precincts of Utakake Inari Shrine, we can see the remains of “San-no-maru” the third compound of the castle of Yamagata. 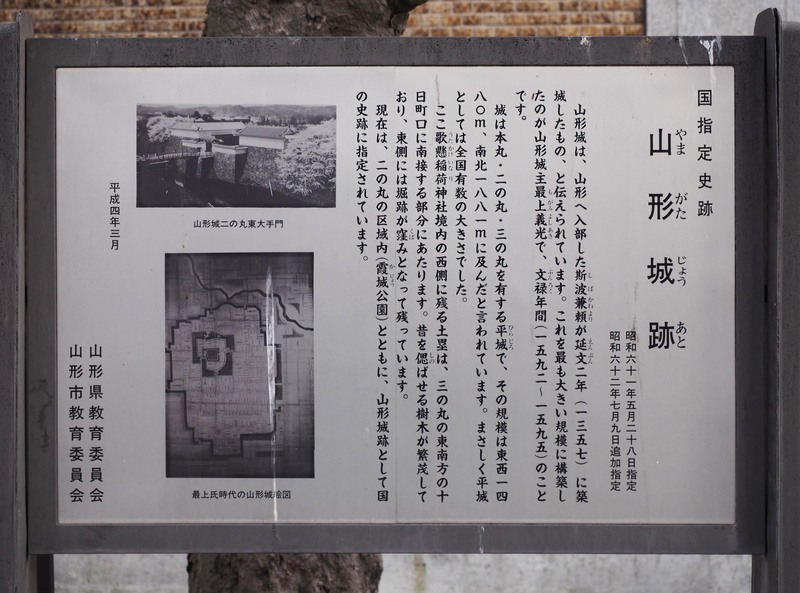 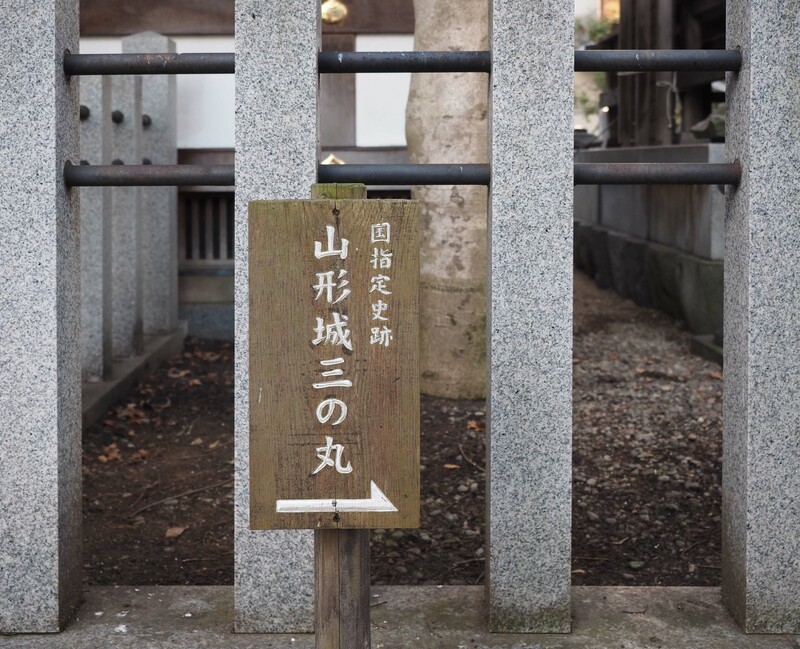 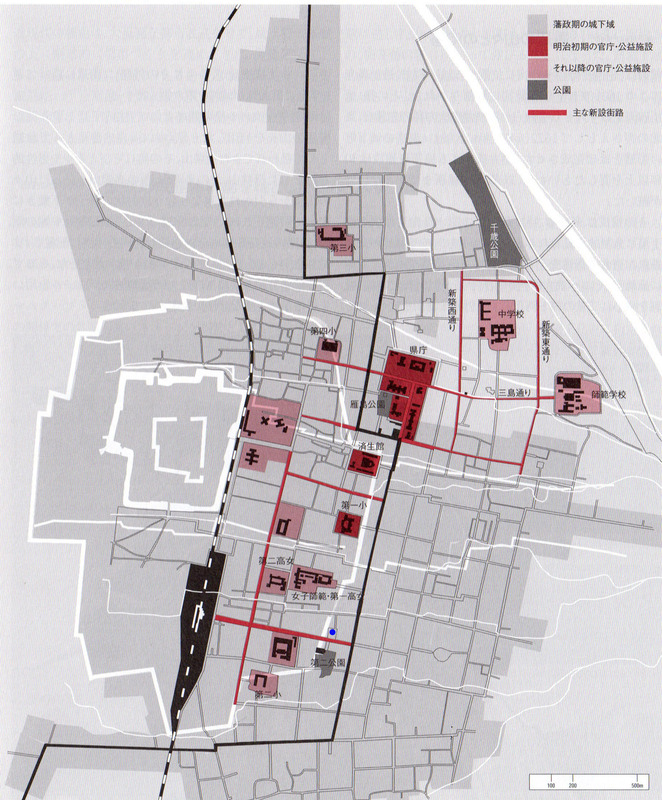 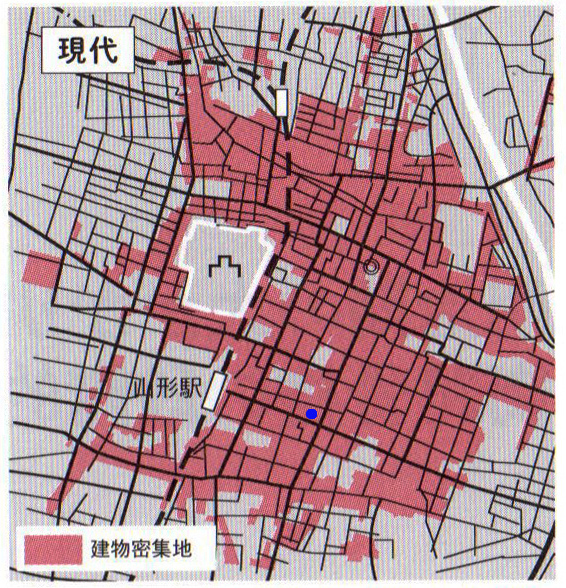 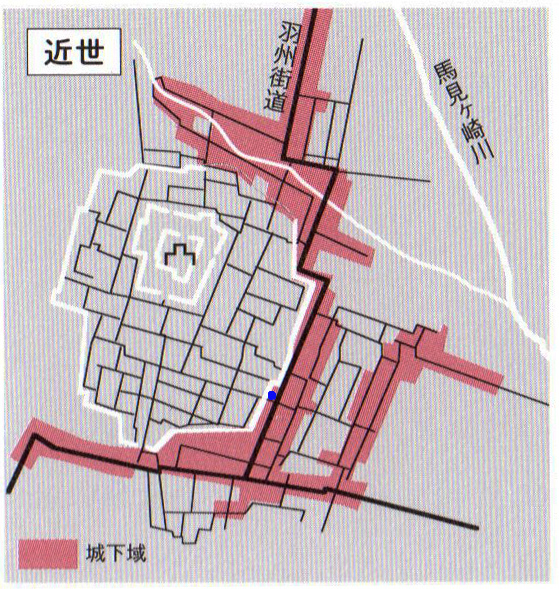 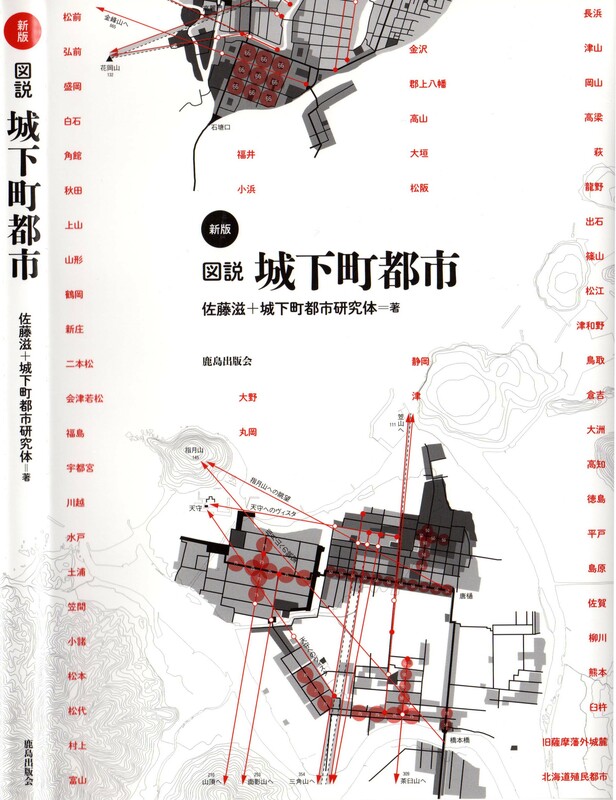 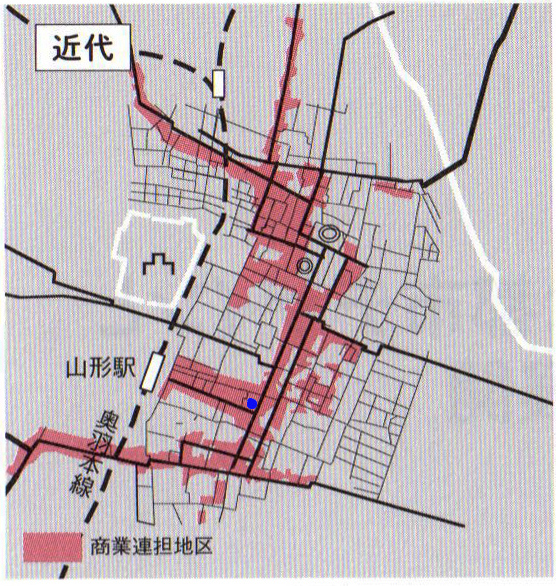 The early modern age of Yamagata City 青い点が「歌懸稲荷神社」の場所（以下同様） A blue dot is where we are. 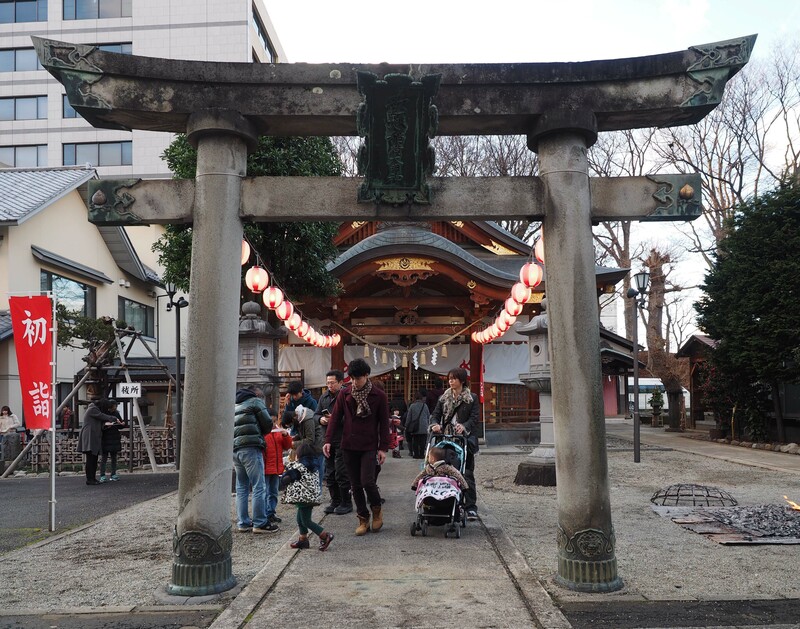 (Utakake Inari Shrine) A zone painted red is a castle town.